Warm up in preparation for full activity. It is very well accepted that human athletes warm up before competition. Does the canine athlete need to be “warmed up” before his event, also? YES! Most of what we know about the response of human muscle, tendon, ligament, cartilage, and bone to exercise and injury come from animal studies, especially dogs. Studies on animals have shaped the ways humans have surgery, undergo rehabilitation, and prepare for athletic events. We knew it in animals first, but we seem to apply it to them last. Before your dog gives an explosive jump off the dock, putting maximum tension on his muscles and tendons, warm him up gradually by walking or jogging him around the competition area. He needs to adapt to this new environment anyway, so use this time to get his muscles loosened up and ready for the event. Studies have not supported any benefit of stretching before athletic activity, but they have shown that warming up gradually reduces muscle tears and tendon ruptures. Think of the muscles as rubber bands—they get brittle when they’re cold and more pliable when they’re warm. The rubber band is more likely to break when it’s cold than warm. In cold weather, the warm up needs to be more gradual and longer in duration—in hot, not as much. Keep in mind also where the dog has been before the warm up begins. Has he been in his crate for a 10-hour winter ride in the back of an unheated truck? Then he needs more of a warm-up than the dog who has been walking around already in a 60 degree environment. Start at a low level of activity with reduced stimulus (where he can’t see the dogs jumping off the dock, for example) and build up in speed and power of activity. Begin by walking outside of the event arena, then trotting. You may want to do some low-level, easy jumps for the toy—but watch out for the surface. Pay attention to the surface: traction, temperature, hazards. While you’re preparing your dog for action, watch for hazards in the area and prevent injury by thinking ahead. A slippery, hard surface is not the one on which to practice aerial catches, high jumps, or pivoting. Make sure your dog has the traction and support he needs for the activity you’re asking him to do. Some indoor events are on concrete surfaces. Padded matting is often available on the activity floor, but don’t forget that that traction and padding is often missing outside the competition area. Keep your dog’s activity in line with the support the surface provides. Especially when outdoors, preview an area for any thorny plants/trees, trash hazards, or holes before revving your dog up. Check out water for depth and underwater obstacles before encouraging your dog to jump in. With running streams and rivers, beware of the possibilities of currents and undercurrents. Use a life vest if you’re not positive of the water conditions and your dog’s ability to navigate them. During the hot summer, watch the temperature of black asphalt or other paved or metal surfaces on your dog’s paws! We wear shoes and can sometimes forget that our four-legged athletes run barefoot. Running across gravel or other hard, irregular surface may be painful for the dog that lives in a carpeted home. Loose gravel also can roll and slip under a dog’s feet. Just as you slow down on gravel, encourage your dog to do so, also. Minimize unnecessary sharp turns, twists, and pivots. Most injuries happen to the canine athlete, especially the dreaded CCL rupture, when the leg is planted and the dog pushes off in another direction. Injuries can be sports-specific. Watch how your dog and his competitors are required to move to be successful in their sport. 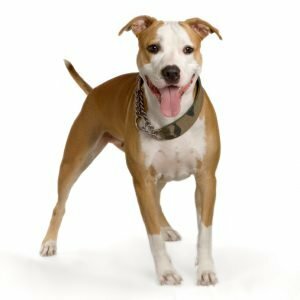 What puts your dog at risk? Where do they put the most stress on their joints, ligaments, muscles? Make sure you train your dog to build up his muscle strength, endurance, and ligament strength to these activities before asking him to go full-force into them. Different parts of the body get conditioned at different rates. First the muscles adapt, then the cardiovascular system, then the tendons, and finally the ligaments. Although your dog may have the strength and endurance to perform a maneuver, make sure you have trained appropriately to allow his ligaments to have strengthened, also. Try to do most of your training in straight lines. Avoid unnecessary twists, turns, and pivots. Condition your dog to be symmetrical, turning each way as strongly as the other to avoid muscle or conditioning imbalances. If your dog sport requires turns and pivots, such as in agility, build up to them slowly, not only physically but in training commands and objects as well. After your dog’s major activity is over, cool him down just as you warmed him up. His heart and respiratory rate are in overdrive, and he’s panting vigorously to literally cool down his body temperature. Help him do this by walking him down and by providing him a cool, well-ventilated area to rest. Please don’t tell your friend “GOOD DOG!” when he ran his heart out for you and then stick him in his crate. Make sure he’s cooled down and his muscles are ready to be quiet in the confined crate. This would also be a good time to do a gentle massage. Let him drink water a little at a time. Deep-chested dogs are at risk for bloat when drinking large amounts of water immediately after vigorous exercise. Later that evening is a good time to do some stretching and deeper massage. Muscles that were at their peak during exercise may have built up lactic acid, resulting in stiffness and soreness. Stretch the muscles to maintain their length and pliability, and massage along the length of the muscle fibers to push waste products into circulation and away from the muscle tissue. If an injury happens, don’t mess around. When at an event, make sure you know how to access health care services for your dog. Be knowledgeable about canine first aid, and carry a first aid kit with you. If your dog yelps or reacts as if in pain, DO NOT IGNORE IT AND ENCOURAGE HIM TO SHAKE IT OFF!! Seriously evaluate your dog very carefully. You can turn a minor injury into a major one by continuing to exercise your dog after an injury. Don’t let your ego get in the way of your dog’s health. Have him checked out at the first aid tent, if one is available. Take him to your veterinarian if he shows signs of pain or injury. If your dog checks out ok, SLOWLY ramp up his activity, keeping a close eye on his reaction to movement. Look for any signs of limping or avoidance of certain motions. Ask for an objective set of eyes if you’re not sure. If in doubt, keep him out of competition or activity that day. A permanent injury is not worth the lost entry fee or planned training day. Follow up with your veterinarian if you suspect any lingering effects. In the event your dog does have an injury, ask your veterinarian about rehabilitation services. Rehabilitation can help your dog recover from injury more quickly whether surgery is required or not. Through their knowledge of canine anatomy and movement science, the canine rehab practitioner can guide your dog at a controlled rate through increased activity back to health. Canine rehabilitation practitioners are not licensed as such, and they do require a referral from a veterinarian. 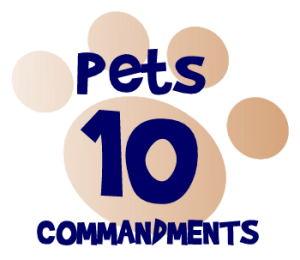 Ask a lot of questions about the experience and qualifications of any personnel doing rehab with your dog. The canine rehab practitioner should know canine behavior, be very knowledgeable about canine anatomy, and have a lot of experience with rehabilitation and progressing the injured. The canine rehab practitioner should be teaching YOU how to help your dog rather than asking you to rely on them.